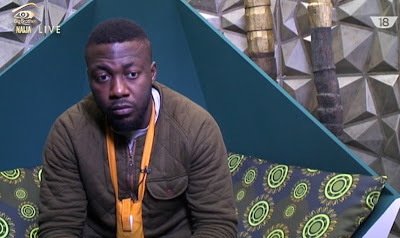 Big Brother Naija Housemate, Bally has been evicted from the Big Brother Naija Reality Show. Bally scored the lowest votes to exit the house after 70 days. Bally was nominated for eviction alongside, Tboss, Marvis and Debie-Rise. In a little twist this time, Bally's friend, Omotola came into the house which signalled the end for Bally stay in the Big Brother Naija House.